Morrison High School Students Hear Inspiring Assembly | MWAH! The news media recently has had plenty of incidents to write about encompassing the campuses of the nation’s schools, so the troupe of youthful and talented guests at the Morrison High School auditorium on February 26, 2018 were a welcome inspiration. The essence of the MWAH! ensemble (Messages Which Are Hopeful) offered real life stories, combined with contemporary music, lots of audience interaction, and a range of emotions. 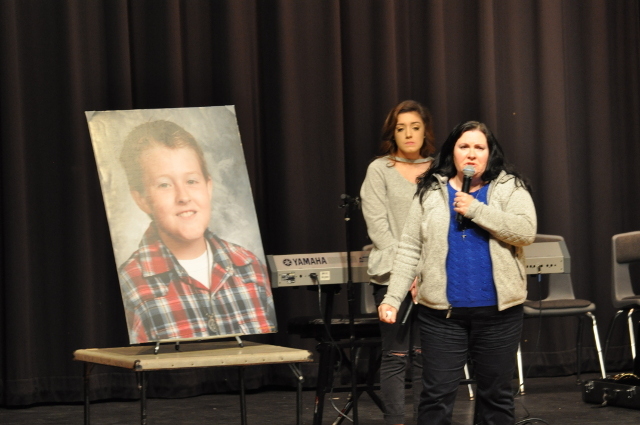 The auditorium was silent as a Geneseo mother related the story of her 12-year-old son’s trials that ended in his taking of his own life. Large photos were shown as the troupe told the tragic stories of why those in the photos were no longer walking the school hallways throughout the state and nation. The life-ending stories focused on parental divorce, bullying, coping with stress, and abusive relationships unless there’s appropriate intervention and awareness. MWAH! 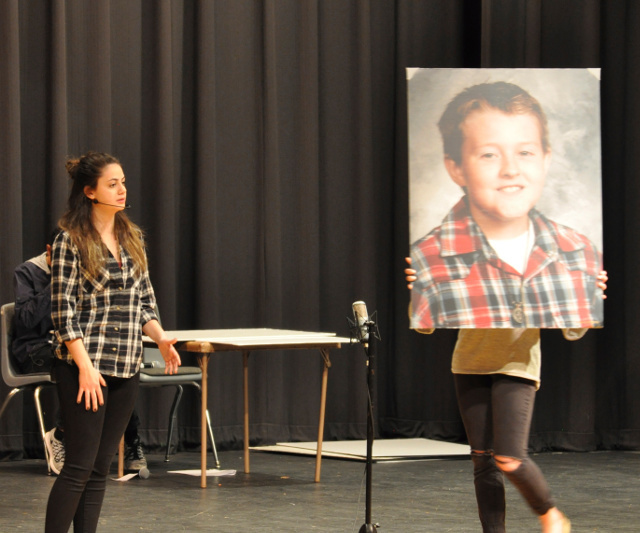 troupe members told personal stories, such as suicidal consideration following a parental break-ups and a grandfather’s death, and how they could have become abusers without appropriate intervention and assistance from friends and attentive school staff members. This time of emotional sharing was perfectly mixed with uplifting music and skits to reassure the audience of the positive world that they live in if proper attention is given to those who are hurting and if they’re provided the necessary support in making good choices. Six Morrison students were recognized as ‘everyday heroes’ by the students and faculty of MHS. Alex Cartwright, Aaron Deter, Jarin Schmidt, Gwen Sedig, Michelle Edwards, and Anne Marie Wadsworth were selected for demonstrating such traits as a positive attitude, perseverance in the face of challenges, and excellence in academics and athletics. The emotional and uplifting two-hour assembly ended on a lighter note with an energized hip hop dance mix with several Morrison High students combined with the MWAH! troupe. The goal of the MWAH! experience was to change lives and save lives, which can happen when individuals make good choices and surround themselves with a positive support system of friends and family.